Named for the 19th century French paleontologist Eugene Dumortier, dumortierite crystals are intensely colored and extremely scarce, making them highly prized by mineral collectors. Frequently, dumortierite grows as inclusions within quartz, occurring as an abundance of tiny blue specks, so much as to make the gem appear blue. 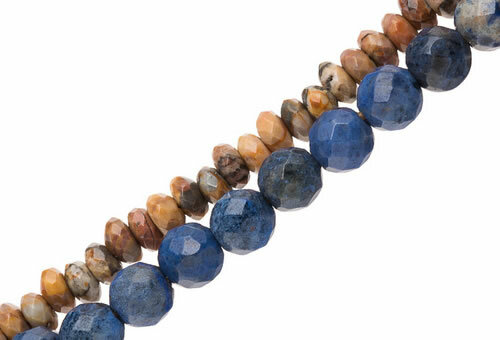 Other dumortierite colors include pink, purple, pink, reddish brown to brown. Dumortierite in quartz will contain dumortierite inclusions and might have liquid, two-phase and three-phase inclusions, negative crystals, minerals, needles, rutile and iron particles.